Sad news: two months after it was reported that the company behind the Bloodhound SSC land speed record car had entered administration, it seems that no suitable investor has been found. This means the project is being discontinued. "We have worked tirelessly with the directors to identify a suitable individual or organization who could take the project forward," said joint administrator Andrew Sheridan in a BBC report. "Despite overwhelming public support, and engagement with a wide range of potential and credible investors, it has not been possible to secure a purchaser for the business and assets ... We will now work with the key stakeholders to return the third-party equipment and then sell the remaining assets of the company to maximize the return for creditors." Bloodhound Programme Ltd was seeking an investment of £25 million, or $32 million, to pay off its debts and complete the project. The goal was to take the Bloodhound all the way to 1,000 miles per hour, but it now seems that the dream is beyond reach. The current land speed record stands at 763 mph, and Bloodhound's test runs (pictured above) saw it hit 200 mph after the main vehicle structure was completed. The actual land speed record attempt would have taken place in South Africa on an 11-mile track in the latter half of 2019. 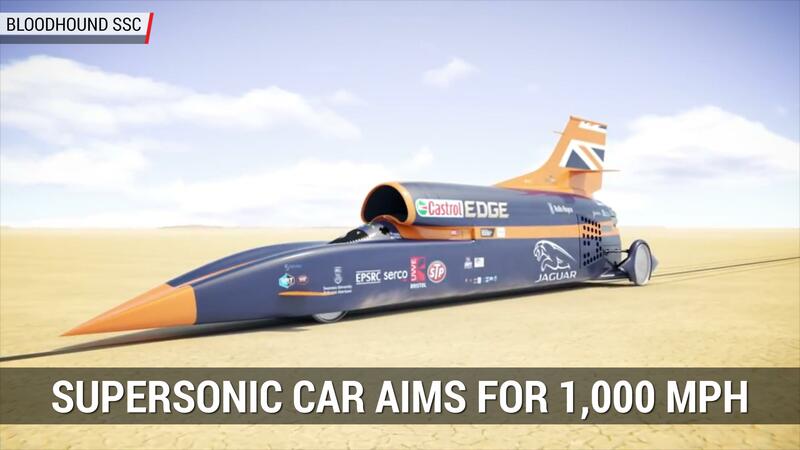 Autocar says the team would have needed $6.4 million to reach 500-600 mph on the South African stretch, $19.1 million to break the existing record with an 800 mph run, and the aforementioned $32 million to hit 1,000 mph. Earlier, administrator Andrew Sheridan stated that even $32 million is a fraction of the costs of merely finishing last in a Formula 1 season.